What do William Wordsworth, William Yeats and Jemima Puddle-Duck have in common? 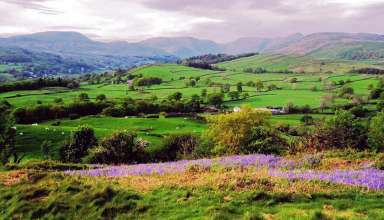 Well, they all lived in and around the fairy-tale villages of England’s Lake District, but only one of them actually is a fairy tale. 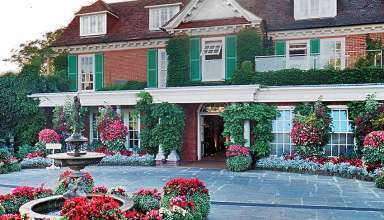 If I told you one of the most romantic ways to get to one of Britain’s most spectacular resorts is by cruise ship, you might think I’d gone – as the British might say – a little batty. 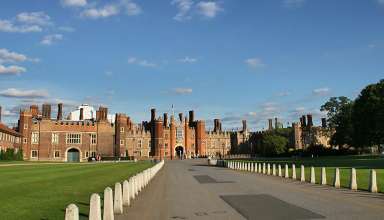 Then again consider it serves up a typically Upper Crust, very High Society drink called Pimms Number One. Believe me, it’s the most refreshing drink this side of London. 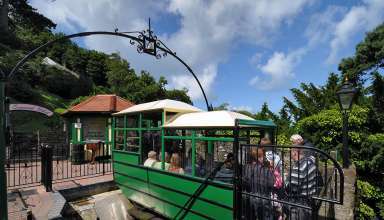 The famous Lynton & Lynmouth funicular Cliff Railway is the most exciting way to travel between these two historic towns and will be the highlight of any visit. 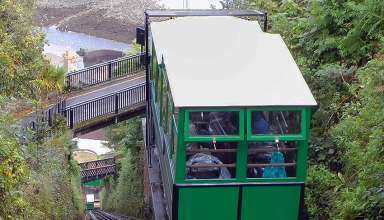 Passengers enjoy stunning views of the North Devon Coastline as they ride the steepest totally water powered railway in the world! This Month — 2 Classic Trains in England. One’s Powered by Water. Really.